Tirumala, 16 May 2015: Tirumala JEO Sri KS Sreenivasa Raju on Saturday commenced issuance of arjitha Seva tickets in lucky dip system in Vijaya Bank counter located at CRO which were diverted from current booking quota for the benefit of pilgrims. Addressing media persons on this occasion, the JEO said, previously the arjitha Seva tickets used to be issued among the pilgrims through Vijaya bank counters on first come first basis. As a result the pilgrims used to stand in serpentine queues for hours together and some times used to stay the entire night to get the tickets. To put an end to this inconvenience, TTD has decided to convert the current booking tickets into lucky dip quota and commenced the system from Saturday onwards. “Now the pilgrims have to register their names for tickets from morning 11 am to 5 am and they will be allotted arjitha Seva tickets through lucky dip system. Those who got the tickets will be sent sms and even displayed on the giant screens located at ATC and CRO for the information of the pilgrims”, he added. 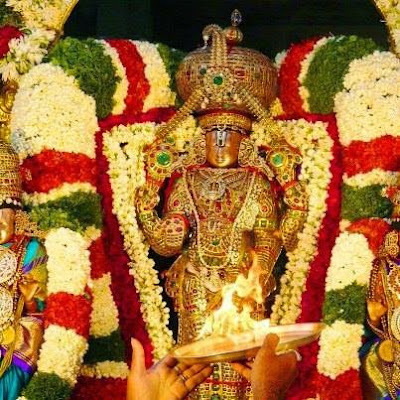 The Jeo also said that the new system is applicable to Suprabhatam and weekly Seva tickets alone subjected to their availability, while the afternoon arjitha Seva tickets including arjitha Brahmotsavam, dolotsavam, Vasanthotsavam and Sahasra Deepalankara Seva will be allotted in Vijaya bank counter through current booking only under first come first basis only. Kalyanotsavam (for newly wed couple)-Rs.1000-everyday-20tickets.